Hi there everyone! I'm back from a week-long bout with the flu that left me exhausted and unable to do much of anything. The good news is that while I was sick and home from work I did a lot of computer work organizing my blog stuff and I have a new blog schedule and a very organized folder of things to post for you all! I'm also in the process of revamping the blog to a new look and having a brand new logo and header made for me and my brand! I'm super excited and I hope you all love it as much as I love how it is all coming together! For now, I have a really simple but beautiful swatch for you. I used this color as a base for some nail art recently and loved it so much that I just had to take photos of it alone. 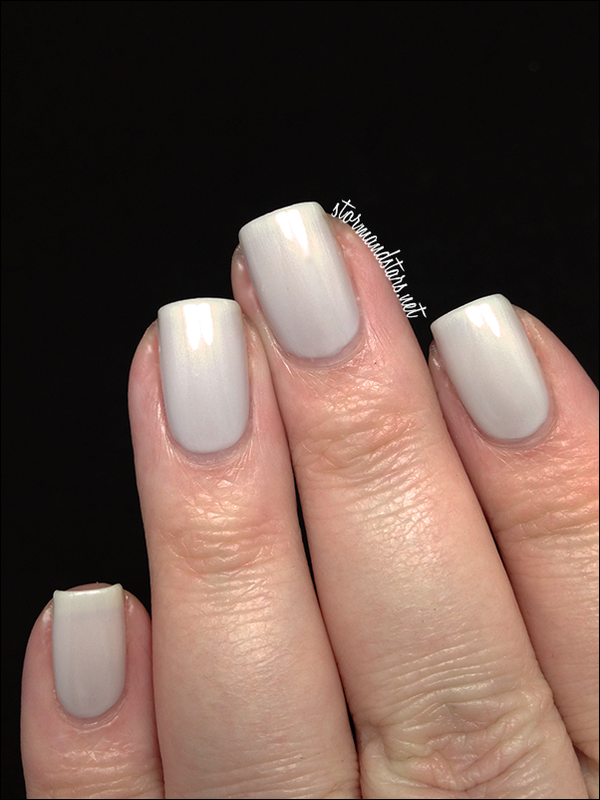 This is OPI Moon Over Mumbai. I absolutely love this polish. I picked it up because it was in the clearance bin at my local beauty supply. I am consistently drawn to white and grey shades in stores, especially super light, almost grey. OPI My Boyfriend Scales Walls is in my top 5 polishes ever. So I am not super surprised I ended up with this lacquer, but I wasn't expecting to fall in love with it. 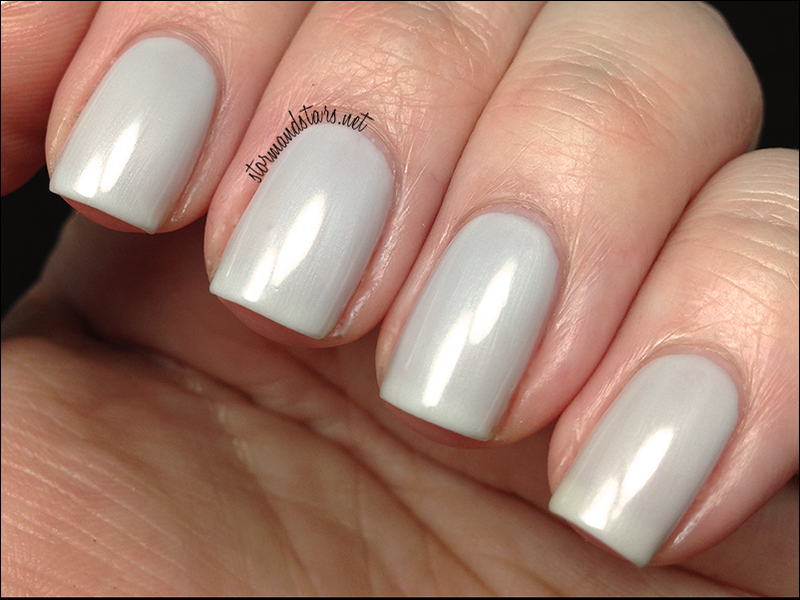 Moon Over Mumbai is a slightly grey white polish with a very pronounced shimmer, which you can see in the photo above. 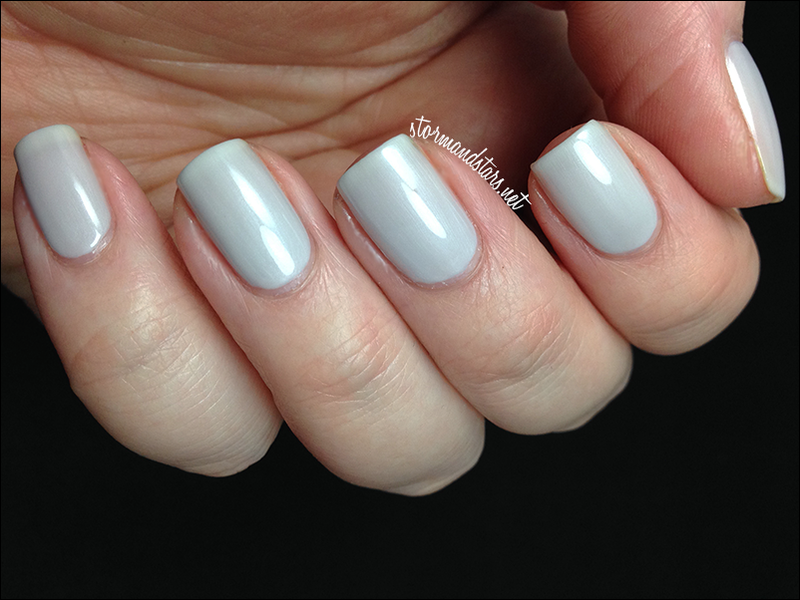 I used two coats of Moon Over Mumbai for these shots plus Seche Vite top coat and it went on like an absolute dream. The formula is perfection. No dragging or bald spots. I love everything about this. I am really looking forward to doing some awesome nail art with this shade in the future. I think it will really make a nice alternative to my usual white or light gray creme as a base! 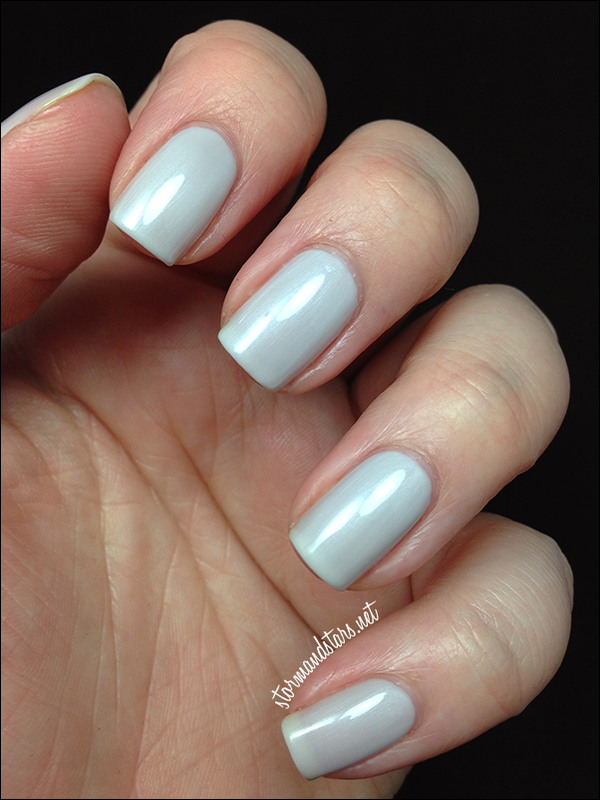 Do you have this shade? Are there certain colors or shades you feel like you're drawn to over and over?